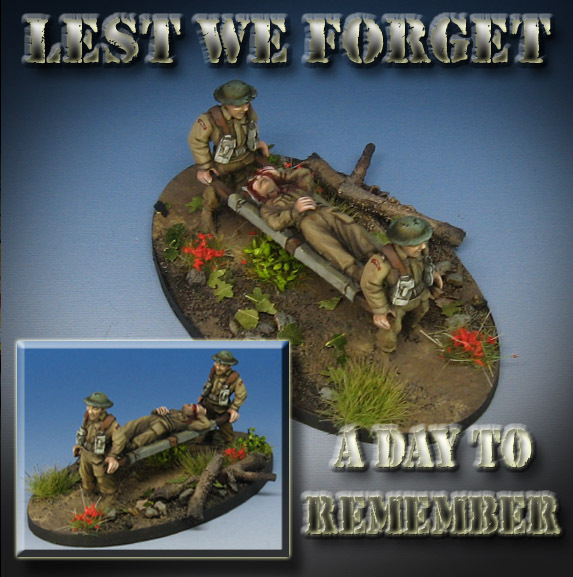 Today is obviously a day for remembrance, and a chance to talk about one of the reasons that I have delved so deeply into things such as Bolt Action. My Dad was in the Marine Corps in the later years of WW2, stationed in New Zealand training for the final assaults which did not occur. On my Mom's side, they participated in the North Africa campaigns, into Italy, etc. In fact, we still have a coin that he turned into a ring. You can still see "New Zealand 1942" on the inner portion of the ring. I used to do some Civil War reenacting myself, with an artillery unit that is still based in Rockford. The more research I do, the more things I discover... campaigns which you hear nothing about, or information that is now available due to lifting of secret designations, etc. Also, the people who were a part of it are telling their stories more often before they become lost forever, which would be very tragic. As far as the miniatures go, these are from Black Tree, and part of something new that I will be adding to my battle reports. 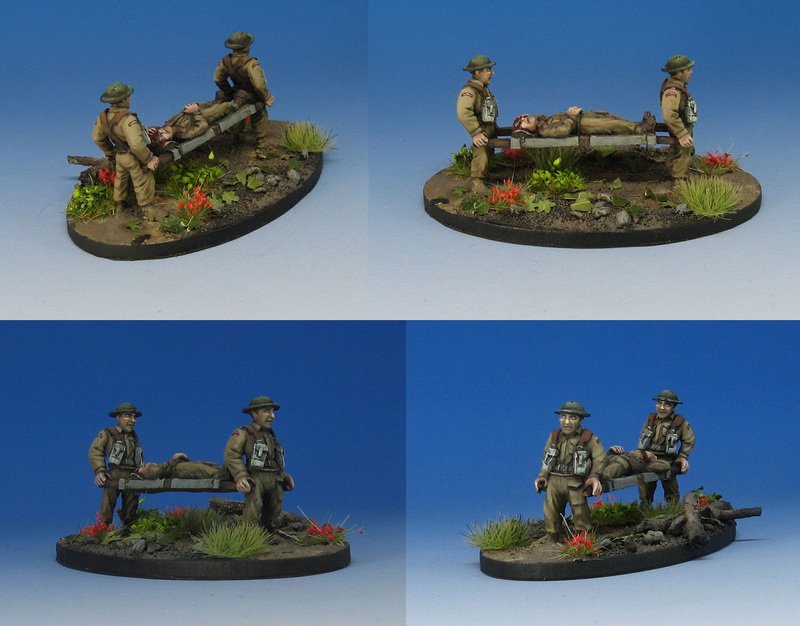 In addition to all the other very interesting character and infantry figures that Black Tree makes for games such as Bolt Action, they also make "casualty" figures. I have been slowly acquiring these, and they are something that I will place during games to mark (as often as is possible) where casualties have occurred. Aside from the visual reminder of the costs of fighting, I have in the past used a variety of those markers with other systems. This has helped a lot with post game analysis, as they really show where the action happened, and how you might have misdirected your troops, etc. This was also one of my first opportunities to use the new homemade shrubs and flower tufts!